For over 50 years now, the Elmore Field Days have been recognised as one of Australia’s premier agricultural field day events, showcasing the latest machinery, innovation and techniques used in the agricultural industry. A community owned and operated not for profit organisation, the Elmore Field Days are focused on providing agricultural service to the community with the flow on of economic benefit to regional areas. The Elmore Field Days are located on a permanent 154ha with over 700 stalls, and the site is continuously expanding. Organisers are expecting 2016 to be the biggest event yet, with more displays, machinery, equipment and demonstrations than ever before. 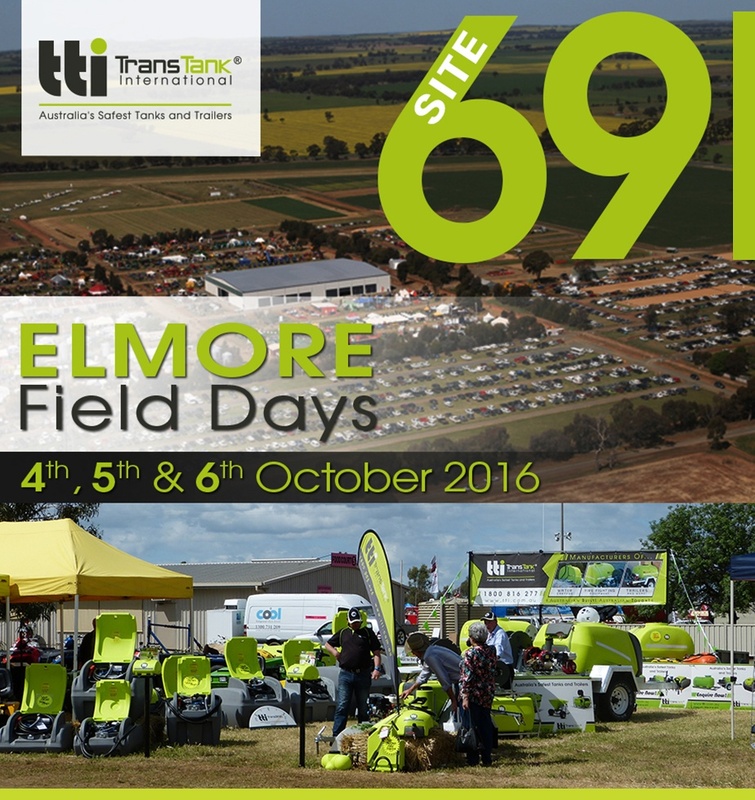 TTi will be exhibiting at the Elmore Field Days this year, rain, hail or shine! Located at Site 69, TTi will be displaying a range of spray equipment, diesel units, fire fighting equipment and tanks. Make sure you drop by and have a chat to our team!